Some christmas themed horror news for you - After 40 (yes, 40) years a sequel for Silent Night, Bloody Night is on its way. Reportedly the film will be a direct sequel to the '74 film. 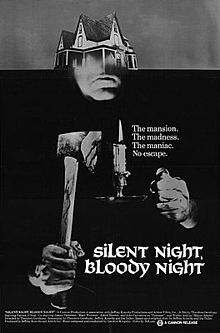 Currently the title for the film is Silent Night, Bloody Night 2: Revival, no word on the plot as yet but we will keep you updated.